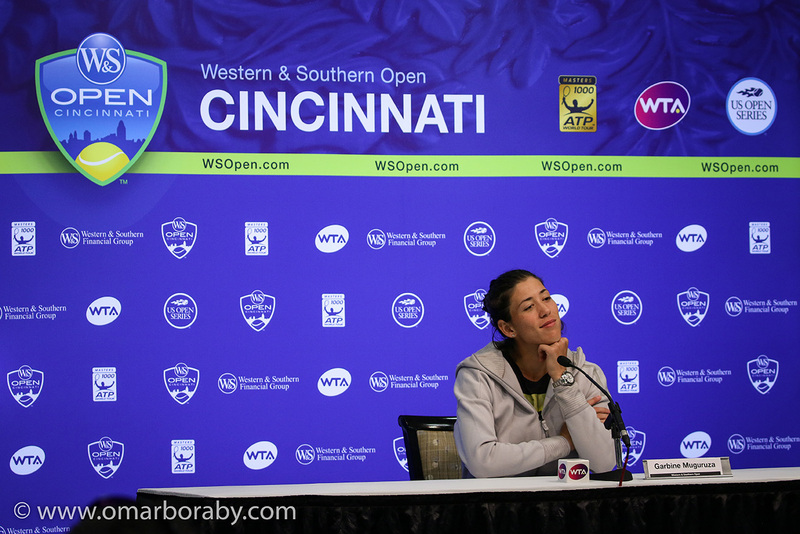 This post features the best photos from a packed day 5 of main draw action at the Western & Southern Open in Cincinnati – including the likes of Garbiñe Muguruza, Caroline Wozniacki, Karolina Pliskova, Simona Halep and more. Thanks to Omar Boraby for sharing his super photos! You can check out Omar’s official website HERE and his Instagram page HERE. Keep checking back for more Cincy photos this weekend on mootennis.com. ROAR! Garbiñe was all fired up! Svetlana Kuznetsova on serve during the first quarter-final of the day in Cincy. Muguruza produced another gutsy display to beat Kuznetsova in three sets, 6-2 5-7 7-5. Kuznetsova was more aggressive as the match wore on, but just came up short. Garbiñe in press after her quarter-final win. Camila Giorgi on the move forward in her rain-delayed third round match against Karolina Pliskova. Elina Svitolina on the run during her rain-delayed third round match against Julia Goerges. What a performance! Goerges beat the Toronto champ, Svitolina in straight sets. The second of the quarter-finals featured Karolina Pliskova and Caroline Wozniacki – here’s Caro with her team watching on. 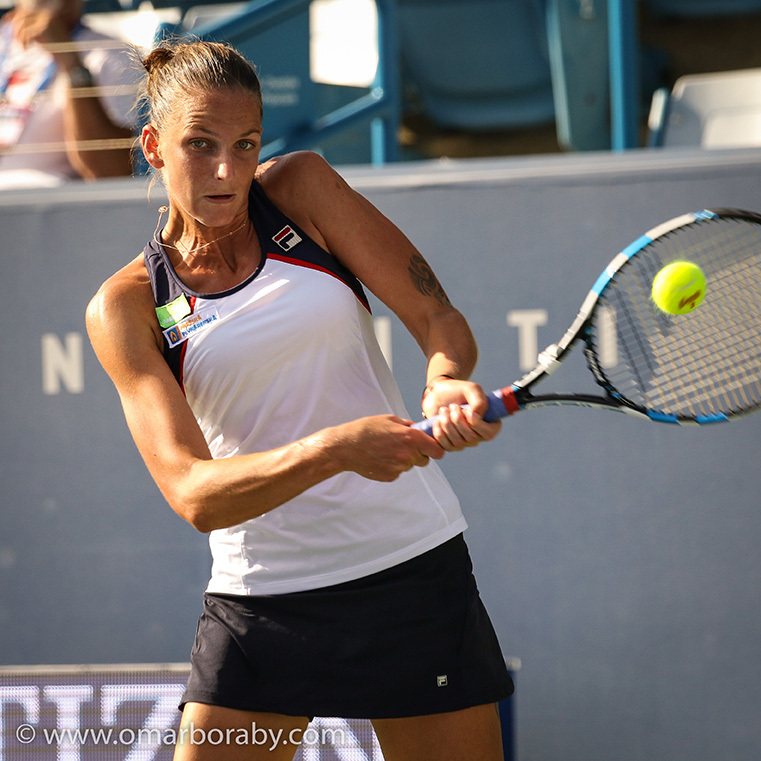 Karolina Pliskova played a super clean match to turn the tables from their Toronto QF and beat Wozniacki, 6-2 6-4. Wozniacki will now head to the US Open, which has always been her best Slam. I’m wondering if this is challenge or coach?! Julia Goerges in action during her second match of the day in the QFs of Cincy. 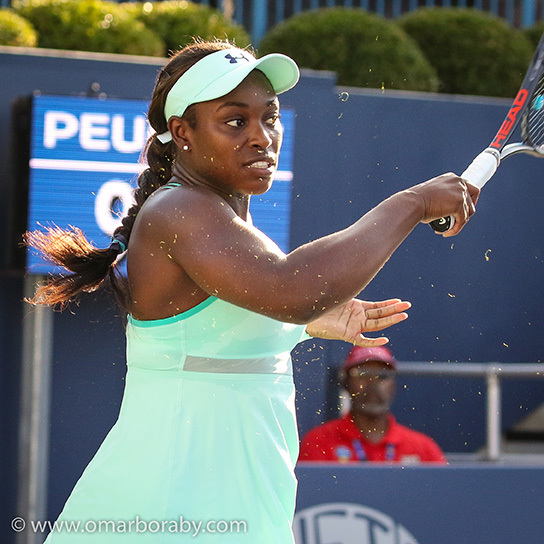 Love this shot of Sloane! What a day for the American as she won two matches to reach back-to-back semi-finals at Toronto and Cincy. Johanna Konta ponders in the late night match in Cincy. Simona Halep earnt a first ever win over Konta on hard courts to snap up the fourth and final place in the semi-finals of Cincy. 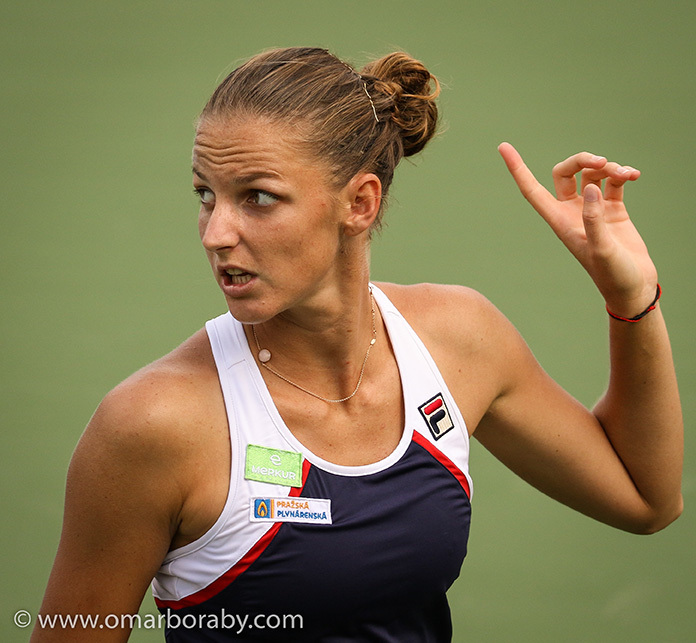 August 19, 2017 in Cincinnati, Photo Reports, WTA.